Originally from Joliet, Illinois, Joshua moved to Myrtle Beach to enjoy the beautiful weather and beaches. 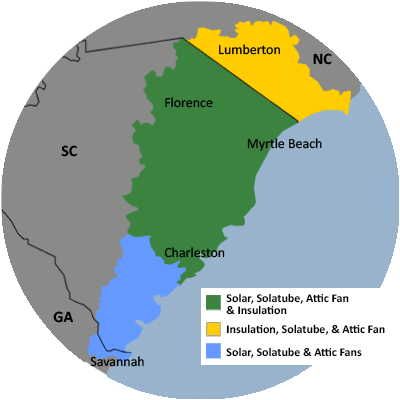 Along with the great fishing spots, Myrtle Beach is known for it’s abundant sunshine making conditions perfect not only for Joshua, but also for solar energy. Since moving to Myrtle Beach, Joshua began to realize the opportunity for solar at the beach, which led him to join the team here at Carolina Energy Conservation. He has a passion for bringing renewable energy sources to our customers in a way that will help them offset their current energy usage. Joshua is very excited about the opportunity to work hands-on in the solar industry while learning all there is to know about this growing field. When he isn’t slinging panels, you can find Joshua shooting hoops, fishing, or golfing. Joshua also loves spending his time with family, including his two daughters and his dog.